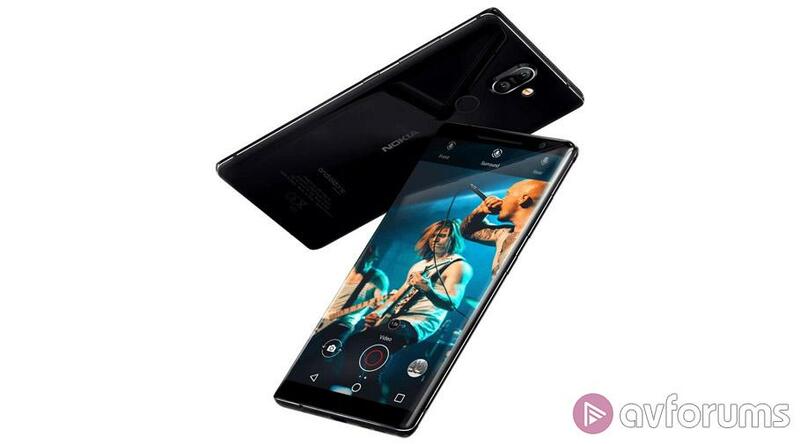 Nokia at its slickest - but is there enough for Nokia 8 owners to upgrade? This is the latest flagship phone from HMD Global, the Finnish company that makes phones with the Nokia name on them. 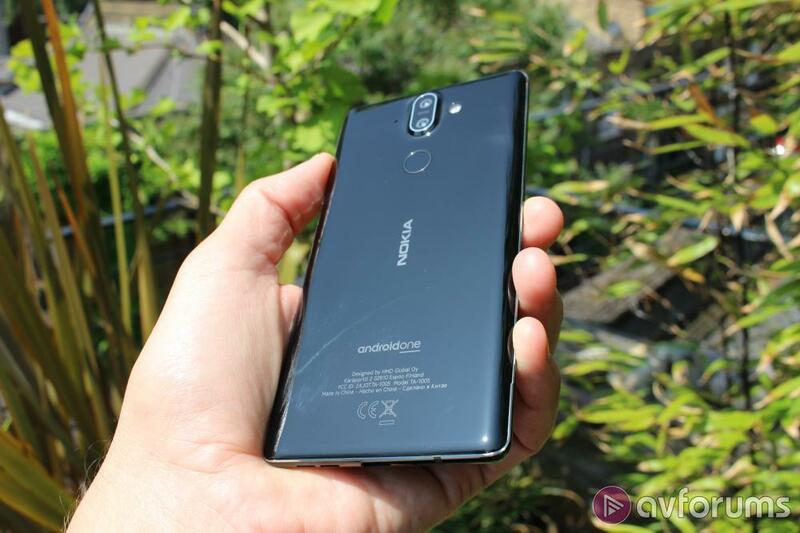 Last year’s top-end phone was the Nokia 8 and while it’s expected that the Nokia 9 will emerge one day and will be the company’s tip-top blower, for now, this is as high-end as you can get. It’s a re-imagining of last October’s model with the same processor inside but pretty much everything else changed. The name, by the way, is another tip of the hat from HMD Global to the heritage of Nokia, which it takes seriously. Some readers may remember that back in 2006 Nokia released a deluxe version of its 8800 phone called, you guessed it, Nokia 8800 Sirocco. In other words, Sirocco means premium. For years, when Nokia was making Windows Phone handsets, people would say, can you imagine what a brilliant Android phone Nokia could make? With this release it’s as if they said, can you imagine what a brilliant Samsung Galaxy S9 phone Nokia could make? Because, like Samsung’s slope-edged models, this one has a display which curves downwards at the sides - and indeed a back that curves up, meeting in the middle. You could argue that the meeting point between those curves is quite sudden – it almost feels sharp to the touch. Not unpleasantly so, but it’s worth trying it in your hand before you buy as it’s noticeably different from other phones on the market. Still, as standing out in the smartphone market is hard to do, this could be seen as a bonus. The edge is pretty chic, by the way: two silver lines sandwich a gloss black strand that runs on the edge itself. 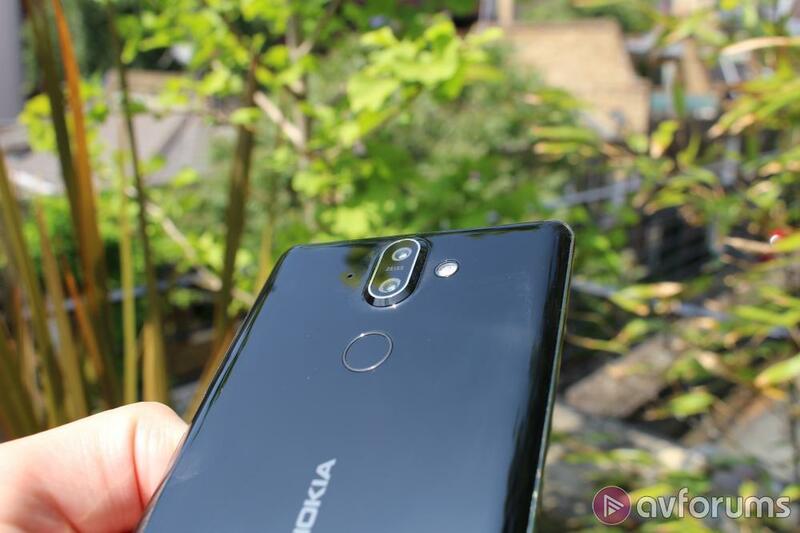 There’s a lot more to the design on this flagship phone and it’s worth going into some detail as Nokia has gone out of its way to make the look of the phone is certainly eye-catching. It’s available in every colour, so long as it’s black. And while there are plenty of classy, colourful handsets, many of them from Nokia itself, which introduced a gorgeous copper finish to the Nokia 8, here the black looks classic, serious and bold. The stainless steel frame, by the way, and the glass front and back add to the weight of the phone. It’s not that it’s super-heavy, not at all, but the fact that it’s not especially light also adds to the seriousness, and the luxuriance of the Nokia 8 Sirocco. The fingerprint sensor on the Nokia 8 Sirocco sits on the back of the phone, so there’s more room on the front for display. It’s not a handset with an all-display front but there’s a smaller forehead and chin than on previous Nokias. The phone’s back is glossy black with the dual cameras and fingerprint sensor in a vertical line down the centre, followed by the Nokia logo. One benefit of placing the raised camera unit in the middle is that, unlike the iPhone X with its camera on one side, when you type a text on the keyboard, it doesn’t rattle back and forth. Further down the back is the Android One logo – a reminder that this uses almost stock Android that is updated regularly and frequently. The left edge of the phone is completely plain but for the sim card slot cover, while the right has the volume rocker and power button. All these details are flush to the edge. The bottom edge has the USB-C charging connector. And that’s it. As you’ll have spotted, that means there’s no 3.5mm headphone jack. You plug the supplied earbuds in through the USB-C slot, though an adaptor for legacy headphones is also included. It’s worth noting that this phone has a higher ingress protection rating than last year’s Nokia 8. This one is IP67, so it can survive being submerged in water up to 1 metre deep for up to half an hour. In design terms this is possibly the classiest phone Nokia has produced in years, which is saying something, though the original Nokia 8 was also a gorgeous device. Note, too, that the glass back is a fingerprint magnet. But on the other hand, it opens the way for wireless charging, which this phone boasts. Like Samsung’s flagship phones, this one has a display which slopes down at the edges. Sloping screens can make a phone difficult to hold if the touchscreen is sensitised to its edges. This doesn't seem to be a problem here: though you can interact with the display right to the very edges, it doesn’t react when you’re clutching it unless your fingers reach right onto the display. 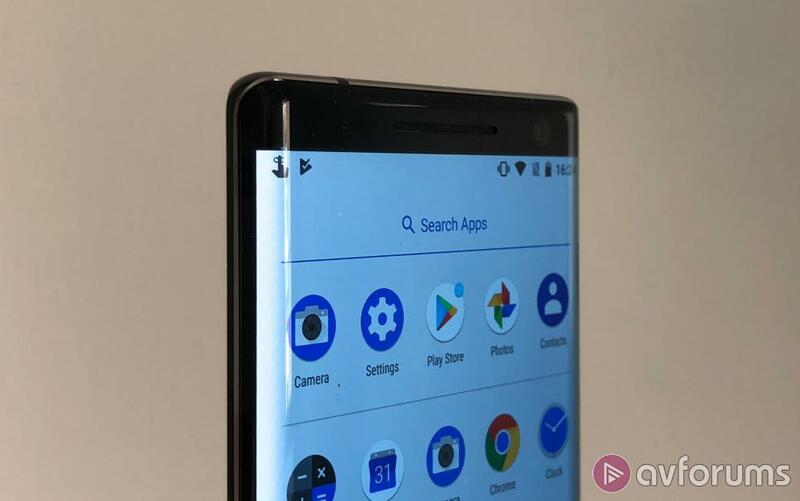 In common with other features on this phone, the display has been upgraded from last year’s Nokia 8. That phone had an LCD display but this is OLED. Great for deeper blacks and bright colours – and this phone’s screen gleams the moment you wake it – but not always great if you’re viewing it from anywhere other than front on. Off-axis viewpoint on many OLED screens, including this one, takes on a different hue. There’s a distinctive blue tinge to this display when viewed from an angle. Screen resolution is the same as last year which means, because this display is slightly bigger, 5.5in against last year’s 5.3in, that pixel density has dropped a little. The 1440 x 2560 screen manages 534 pixels per inch. None the less, this is a bright, attractive screen with vivid colours that aren’t over-saturated. Providing you view it from straight ahead. Dual cameras are all the rage on top-end smartphones, so of course that’s what the Nokia 8 Sirocco sports. But where last year’s model had one colour and one monochrome sensor, the Sirocco has chosen a different direction. One sensor is 12 megapixels, the other 13 megapixels and one has a focal length that’s twice the other. What this means is you effectively have a 2x optical zoom instead of simply digital zoom. And as we know, optical zoom l= good, digital = bad. The 12-megapixel sensor has slightly larger pixels and an aperture which at f/1.8 is wider open than the telephoto lens (f/2.6). On the principle, perhaps, that you’ll want the wider aperture for lower light situations on subjects which are nearer to you. This kind of dual-lens arrangement is ideal for creating bokeh effects, with the subject in sharp focus and the background artfully blurred. That’s not the only special effect. Nokia introduced something called the Dual Lens effect, or Bothie, on the Nokia 8. It’s where you shoot both the rear and front cameras simultaneously, so you can record the singer at a gig and your reaction at the same time, for instance. It’s a fast, responsive camera with zero shutter lag, as we’ve come to expect on decent cameraphones. The dedicated software is built in partnership with Zeiss, which also provides the lenses on the camera. Nokia’s phones mostly boast the fact that they are part of the Android One program, which means it runs stock Android operating system, not modified in the way Samsung, for instance, alters the OS. So there are few if any bloatware apps added up front and, just as importantly, the phone can take Google’s updates sooner rather than later. This phone is already on Oreo 8.1, therefore, with regular updates to follow. It means it’s among the most secure Android phones around. 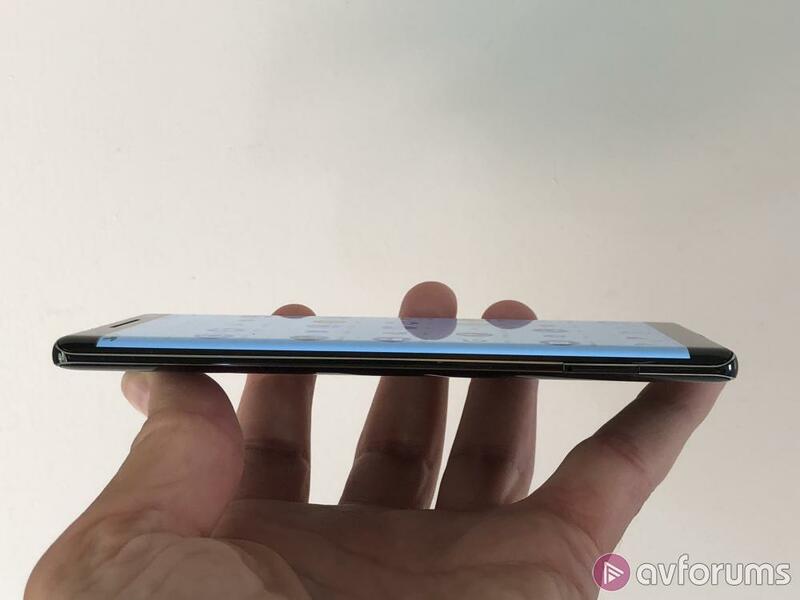 The fingerprint sensor on the rear of the phone is fast and effective, though personally I always prefer a sensor that doesn’t require you to pick the phone up to wake it. Since nobody wants to put that sensor on the front any more because it uses valuable screen space (apart from the just-announced BlackBerry KEY2 where the sensor is cleverly built into the space bar on the QWERTY keyboard) that means a side-mounted sensor or a reliance on other ways of securing the phone. Of course, there’s still the option of a PIN code and, increasingly, facial recognition. That’s here, though set-up includes a warning that it’s not as secure as a PIN, for example. It’s quick to set it and works well. Maybe not with the precision and reliability of the iPhone X, currently the gold standard for facial recognition. The processor on board is good, Qualcomm MSM8998 Snapdragon 835, since you ask, but the 845 is becoming more common on high-end mobiles now so it would have been good to have seen that here. But it’s easily good enough, and it never stalls or dallies. As mentioned above in Security, this is an Android One phone, so it has the latest software on board, with the only major exception to the plain vanilla Android being the camera software that is part of the Zeiss collaboration. Oh, and the display has something called Glance screen, which shows a clock, missed calls, how many unread messages are awaiting you and so on. It shows these details every time you move the phone but you can also set it to always-on, with minimal battery impact. Nokia has upgraded the battery from last year, increasing the size of the cell. The Nokia 8 had decent battery life and this isn’t much different, it’ll easily get you through a day without inspiring that defining twenty-first century malady, battery anxiety. The bigger battery may be the reason there’s no expandable memory slot on this phone. Or maybe not, but it certainly means you’ll be glad there’s a whopping 128GB of storage built in. If you want the most advanced, most premium Nokia you can get, look no further. It’s not cheap (£649.99 at the time of writing) and for many the regular Nokia 8 which costs quite a bit less will be more than sufficient. But if you like the design, and the sharpness of the edges isn’t an issue, this is a powerful, effective phone that stands out from the crowd. There’s no headphone jack, in common with many other flagships. The processor could be a little faster, and it would be good to have a memory card slot but these are the only real downsides. 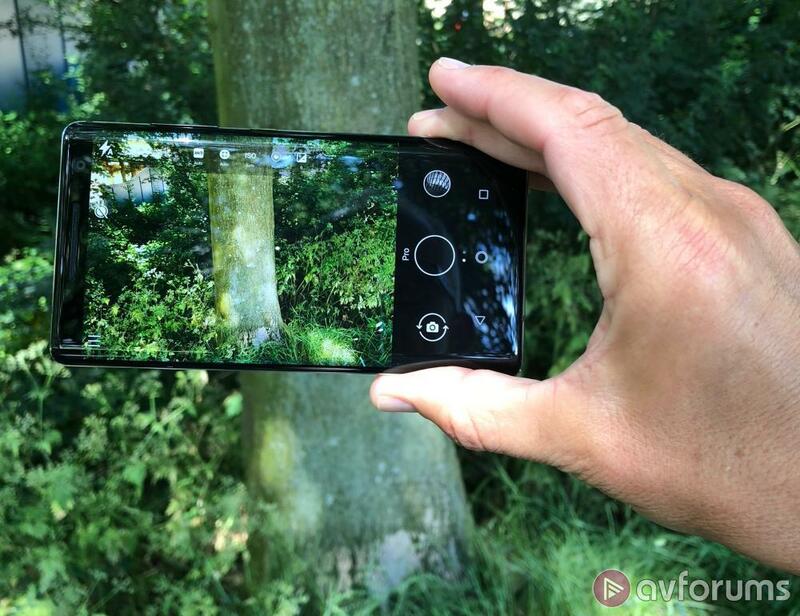 Though there are other handsets which match or outgun it for its camera performance, like the Huawei P20 Pro, for instance, overall this is a powerful and effective phone with a head-turning design that is hard to beat. Write your Nokia 8 Sirocco Mobile Phone review.